We’re quoting the new skills menu there, under the ‘Leap of Faith’ ability. Leap of Faith is classified a ‘baseline ability’, and is seemingly unlocked from the start, so it appears that it is now impossible to die from fall damage. Leap of Faith can be upgraded at level 20 to negate all fall damage, so you can jump off anything, any height, any time, without fear. There’s still quite a nice swan-dive-into-somersault animation though, so not everything has changed. For more freeform adventuring, check out the best sandbox games on PC. 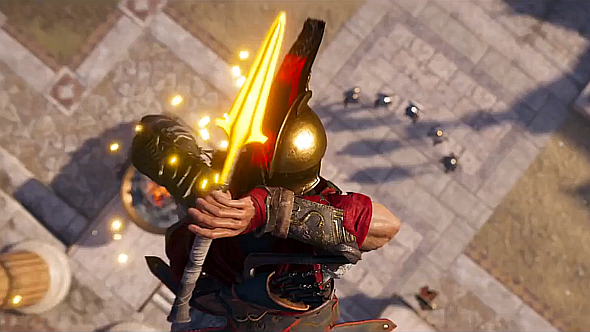 Perhaps this will reassure those longtime fans who may be concerned at the lack of assassins in the game – Odyssey is set hundreds of years before last year’s Origins which, appropriately, told the story of the foundation of the assassins’ order in Ancient Egypt. For everything else we learned about your very own Greek epic this E3, check out our Assassin’s Creed Odyssey guide – details on the setting, gameplay, release date (October 5) and trailers to watch are yours for the discovering.